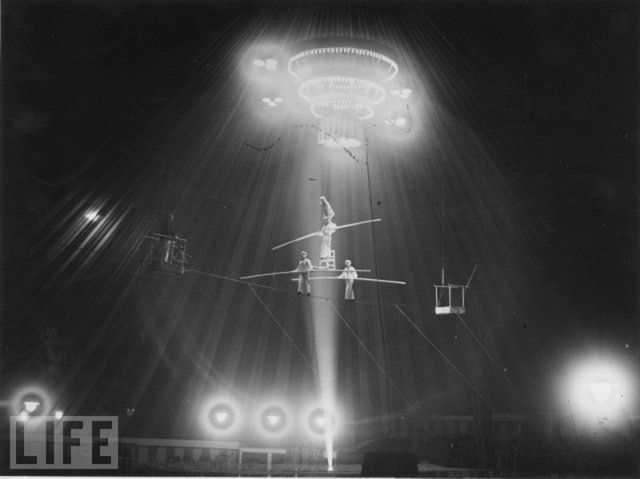 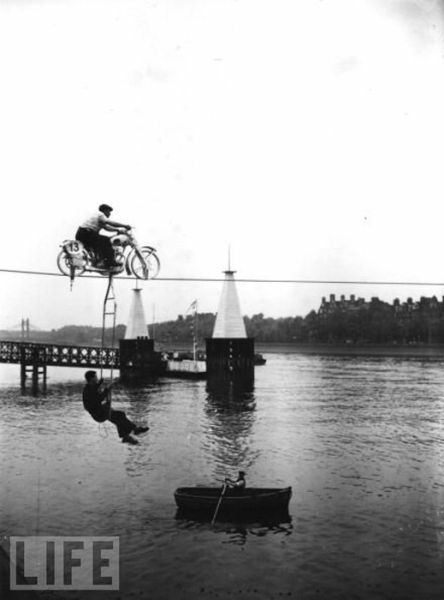 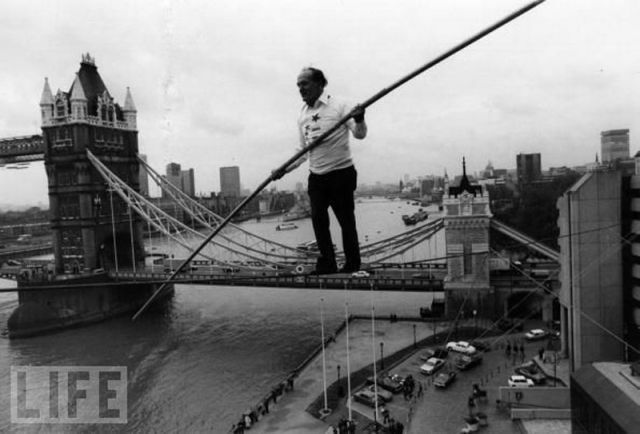 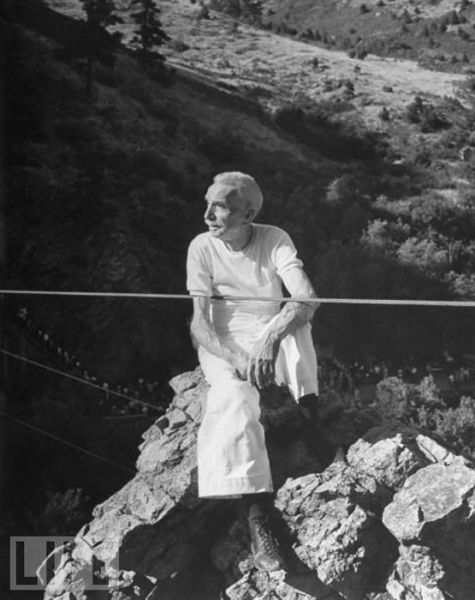 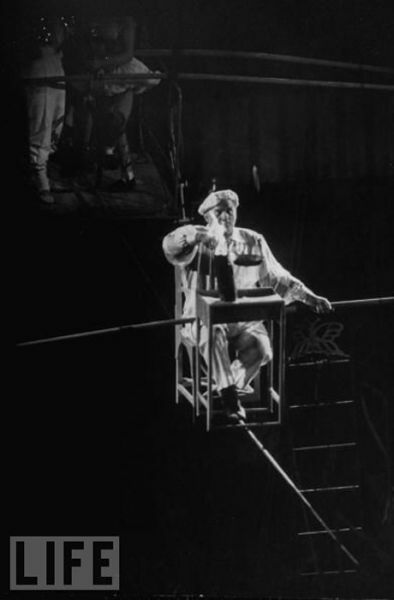 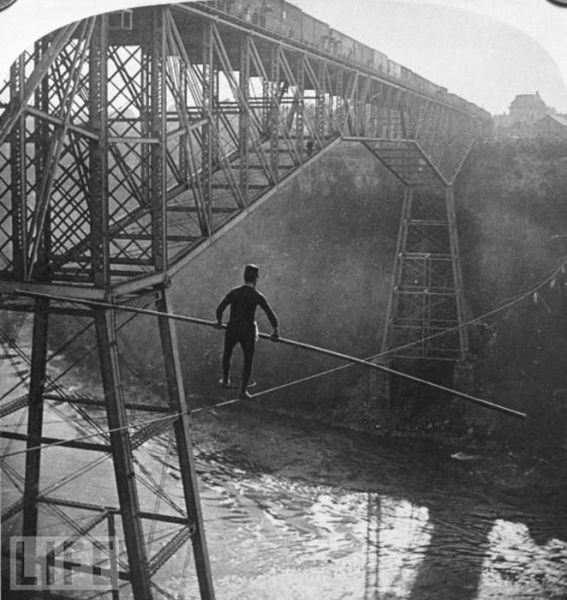 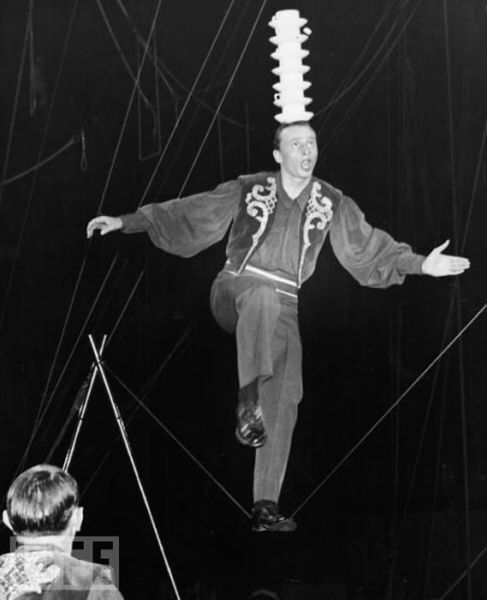 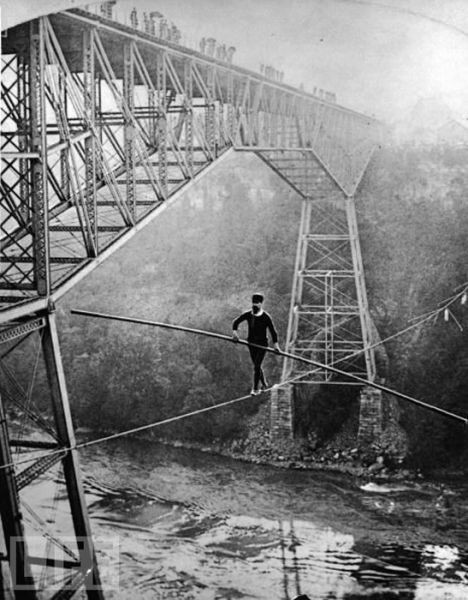 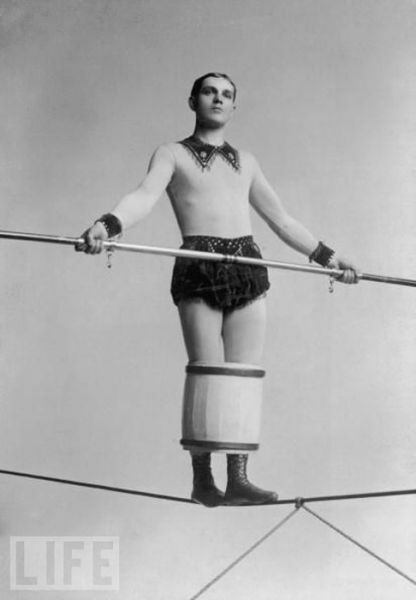 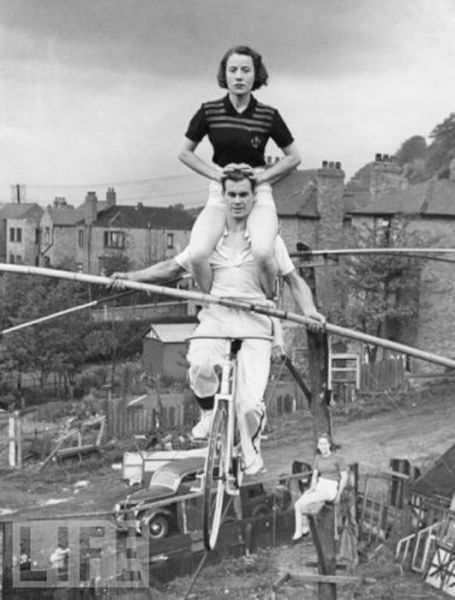 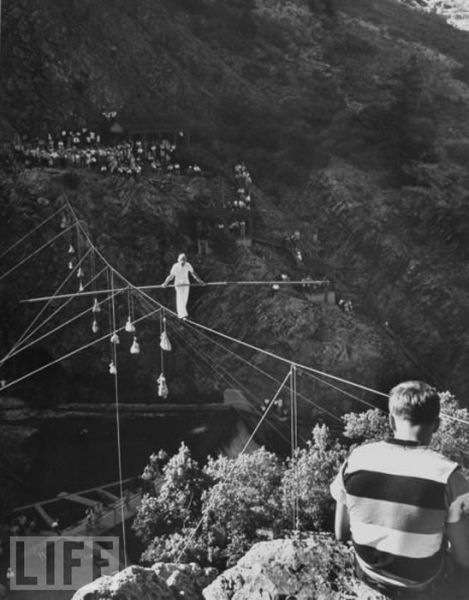 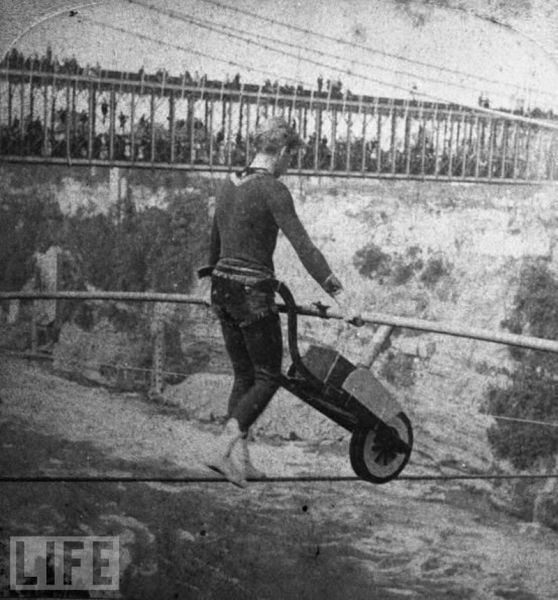 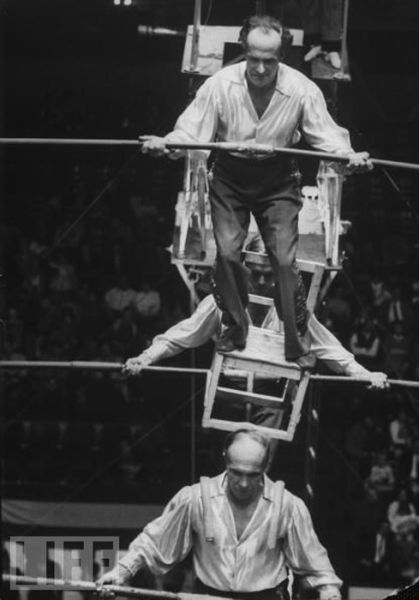 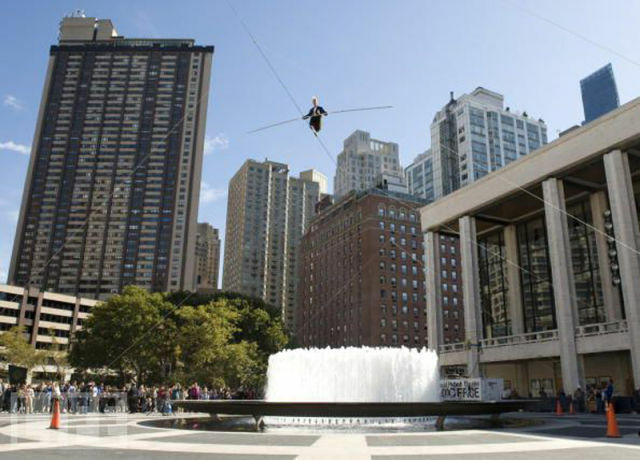 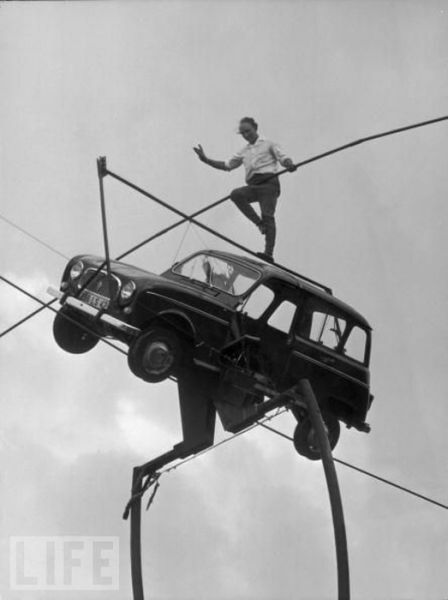 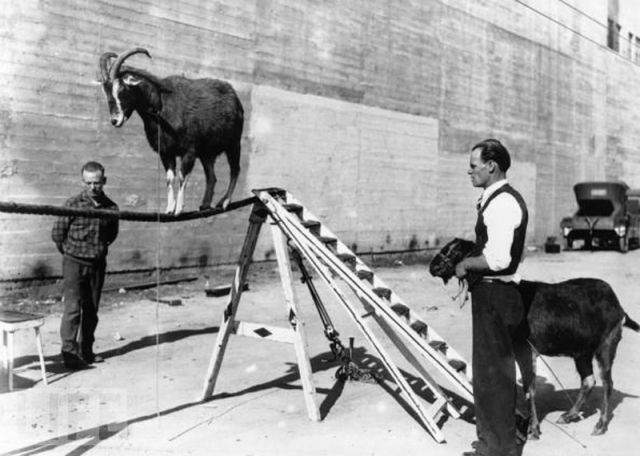 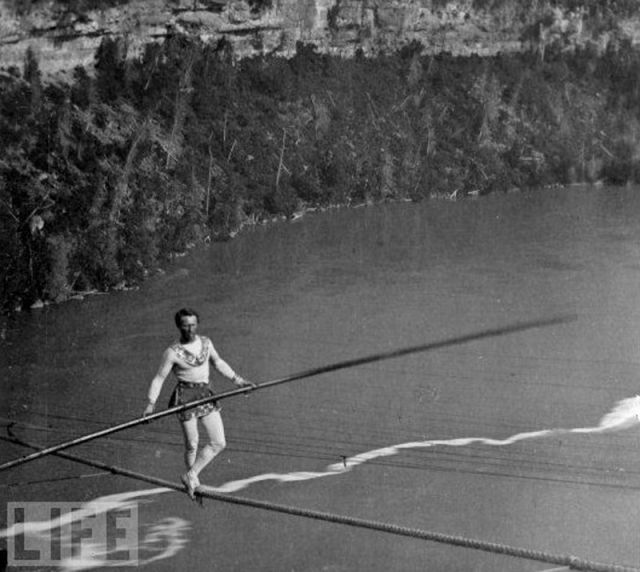 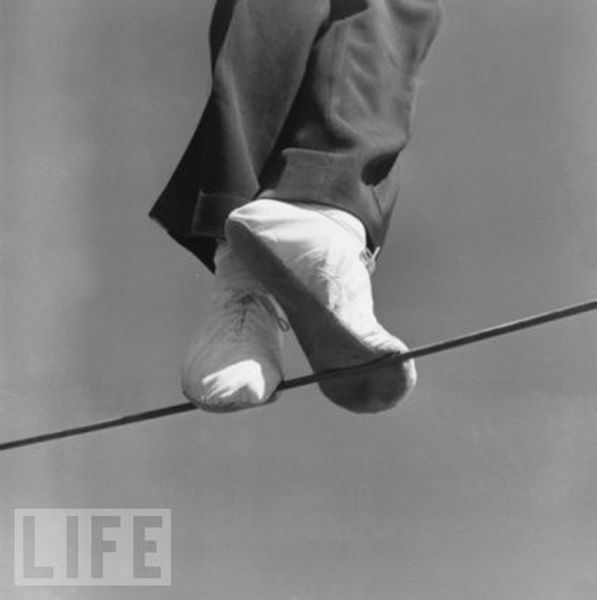 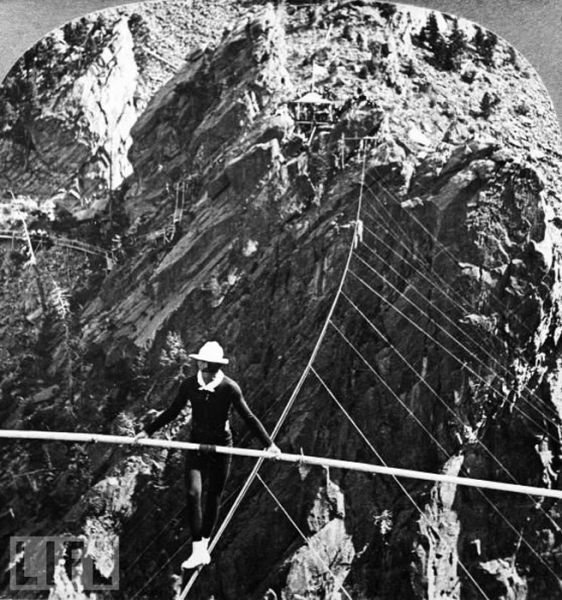 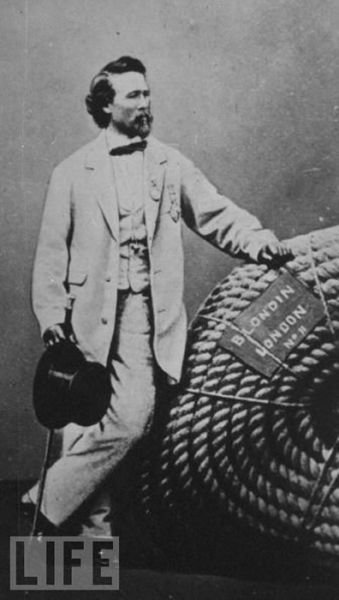 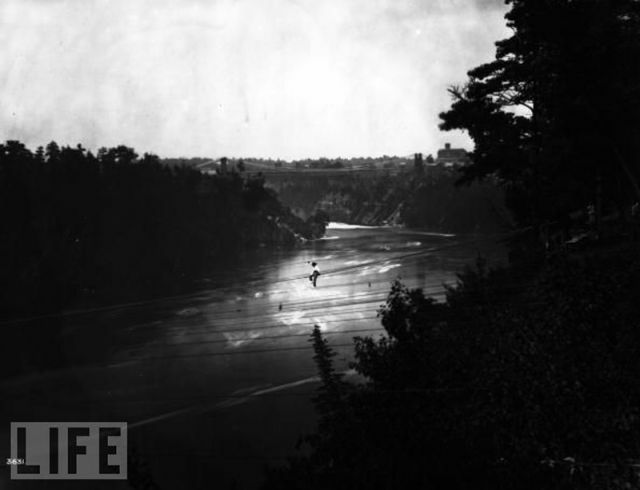 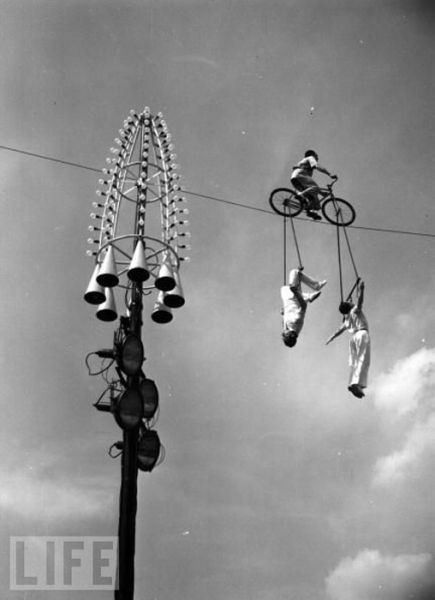 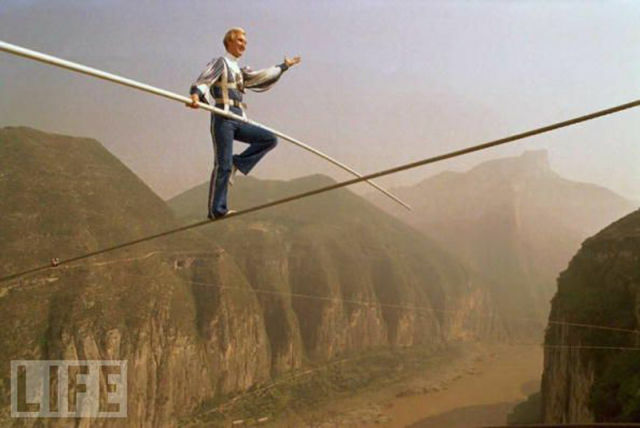 Nearly one hundred and fifty years ago the first great “funambulist”, Charles Blondin, tip toed across a large body of water with just his wits and a long balancing stick. 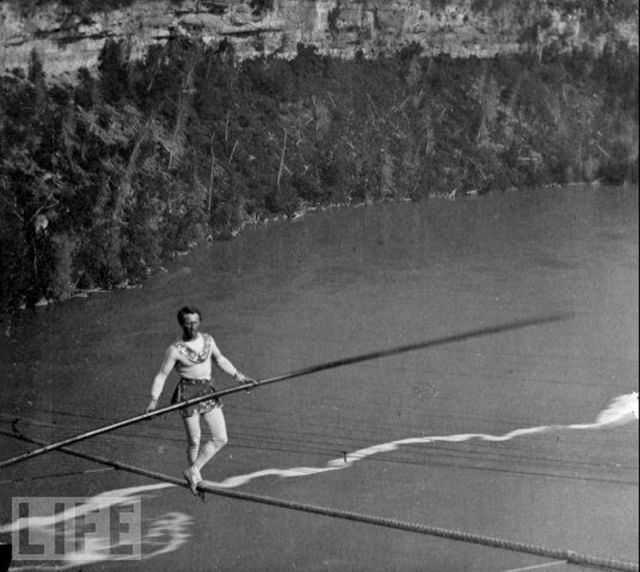 Since then many others have taken the plunge, unfortunately some to their deaths, and walked over wide expanses. 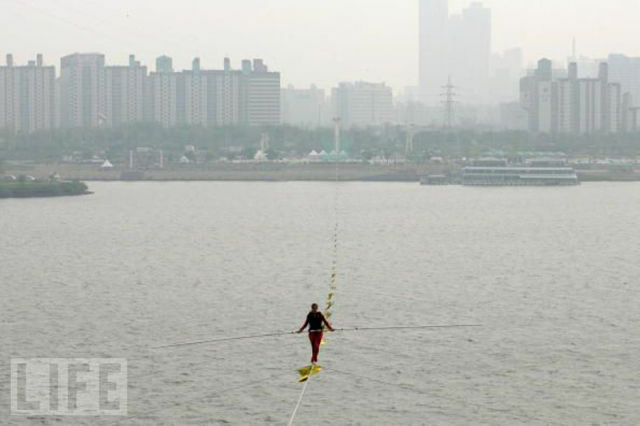 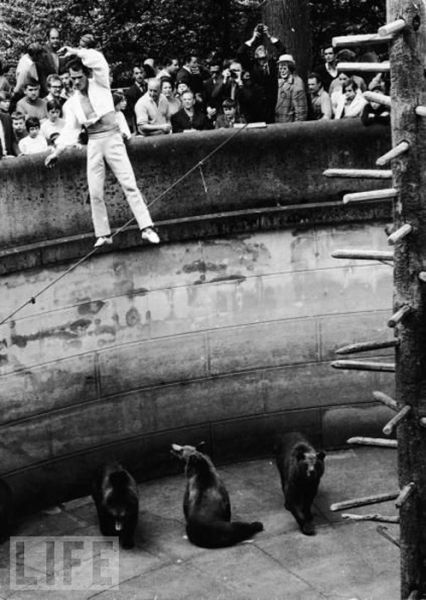 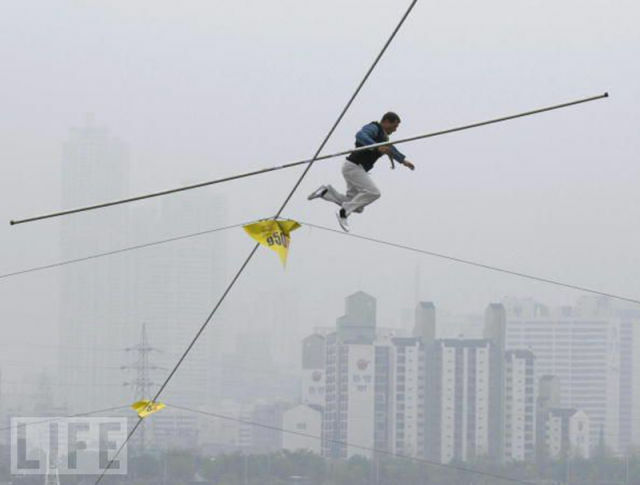 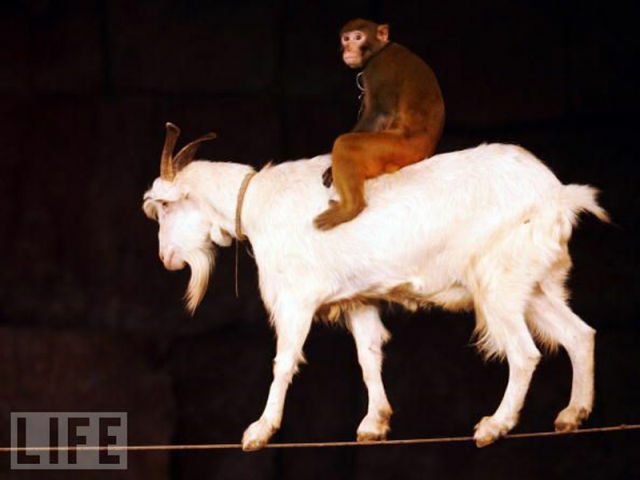 These breathtaking photos still make you wonder why the heck anyone would do this.